Major Joseph (Joe) B. Williams, OD, ARCM, former Director of Music, Jamaica Defence Force, was born in Spanish Town, St. Catherine, Jamaica, on the 2nd March 1933, to David and Imogene. He attended private and All-Age schools in Central Village and White Marl district in St. Catherine, until the death of his parents – his father, when he was 7 years old, and his mother, when he was 10 years old. He moved to Kingston and lived with an aunt on Tower Street in Central Kingston, from where he attended Wesley All-Age and Kingston Technical Schools, among others. Living in Central Kingston, he became familiar with the Jamaica Military Band which was stationed nearby and played regularly at the world-famous Myrtle Bank Hotel in Kingston, Williams was impressed by the picturesque sight of the band marching down Rosemary Lane in their Zouave uniform, to go to their engagements, entertaining the rich and famous. On the 14th February 1951, he joined the Jamaica Military Band (which was a part of the Jamaica Local Forces) as an Apprentice on the clarinet, serving through the various stages from Apprentice to Bandsman. While serving as a Bandsman, he occupied the positions of Librarian, Storeman and Programmer, and was rewarded in 1959, when he gained promotion to the rank of Corporal. During his early years in the Band, Joe showed keen interest in all types of music and made a study of the varying aspects of the art, thus, copying music, arranging, and composing were attempted on a daily basis. These efforts were highlighted when he composed and arranged the music for the Little Theatre Movement’s 1960/61 Pantomime Musical “Carib Gold”. In 1962, Joe composed a march, “Independence Day”, and did the first Military Band arrangement of the present Jamaica National Anthem (“Jamaica, Land We Love”) for submission to the Committee appointed to select the Jamaica National Anthem. In the same year, he arranged the music for “Legend of Old Port Royal” for Madam Soohih’s Ballet School and “Jamaican Fruits” (ballet), for the Rowe’s School of Dance: these were used on the “Roots and Rhythm” Show at the Little Theatre. As a clarinet and saxophone player, Joe Williams takes pride in remembering the many Dance Bands of which he had been a part, namely: Redver Cook; Ivy Graydon; Lord Fly; Carlos Malcolm; and the Vivian Hall band with the late, great trombonist, Don Drummond. Under his leadership the Caribbean Orchestra backed up many artistes on stage and on records, notably “Independent Jamaica” and “Ma and Pa”, sung by Lord Creator (also both arranged by Williams). He also played with the Jamaica Philharmonic Orchestra, for a number of years. The Jamaica Military Band became a part of the Jamaica Defence Force (JDF) after Jamaica gained Independence in 1962 and the members were now under full military command. Shortly after becoming a part of the JDF, Joe was selected in 1963, to represent Jamaica at the Trade Fair held in Chicago, USA, where he spent one month. On his return to Jamaica, he was greeted with the good news that he was promoted to the rank of Sergeant. This news was the start of more good news to come, as in 1964 he applied for and received a scholarship to the Royal Military School of Music (Kneller Hall), England, to be taken up in April 1965. At Kneller Hall, Williams joined two hundred and fifty pupils and students in the school band - two hundred pupils doing instrumental studies for one year, and fifty students studying various subjects for three years, to become Bandmasters/Directors of Music. He studied Advanced Harmony and Counterpoint, Instrumentation, Arranging, Orchestration (string quartettes and two-part Inventions), Conducting (band, orchestra, choral), Composition, Theory of Music, Teaching, and also took lessons for three months at a time from Professors, on all the instruments in the Band, each followed by an examination. During his time in school, he played in the Director’s Band on many memorable occasions, at places such as The Royal Festival Hall, The Royal Albert Hall with the London Philharmonic Orchestra, BBC Light Concert Orchestra, BBC-TV, The Queen’s Birthday Parade, the Lord Mayor’s Parade and others. The course ended with Student Williams graduating as a Bandmaster, and winning the Graham Wallace Award for being “The Best Overseas Student (1967)”. Among other scholastic achievements, Williams also received a Diploma in Composition and Arrangement from University Extension Conservatory, Chicago, USA; a Certificate in Journalism, UK; and a Certificate in Speech and Voice Production from City Literary Institute, London. Williams also successfully undertook the Directing/Bandmastership course at the Royal College of Music, among other requirements, conducting the Irish Guard Band in a rehearsal of the slow movement of Dvorak’s “New World Symphony” and at a concert performance of the masterpiece “Der Freischϋtz” by Weber. Returning to Jamaica in 1968, Joe was promoted to Warrant Officer Class I and appointed Bandmaster of the Jamaica Military Band in November of that year, thereby becoming the first qualified Jamaican to be appointed to that post. 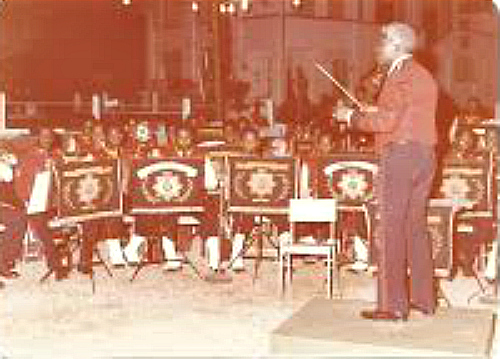 Under the leadership of Bandmaster Williams, the Jamaica Military Band made its second Long-Playing Record in 1970 and continued its wide range of local activities giving public concerts in the Corporate Area, and across the parishes. After six years as Bandmaster, he was commissioned in the rank of Lieutenant (in 1974) and appointed the first Jamaican Director of Music, Jamaica Defence Force – another first in his career. On 1st January 1976, he was promoted to the rank of Captain, and subsequently Major in 1982. The Jamaica Military Band gained much popularity under his command and made several overseas tours including trips to: Guantanamo Bay, Cuba (USA Change of Command Ceremony); Barbados; Trinidad and Tobago; Puerto Rico; the Cayman Islands (Pirates’ Week); the United Kingdom; and several cities in the United States of America, with the special honour of leading the parade and performing at the half-time show at the 13th Super Bowl at the Orange Bowl in Miami, in 1979. Major Williams has received many awards for his contribution to music, including: the National Honour of the Order of Distinction Officer Class (O.D. ), in 1990 for “Services in the development of Music in the Jamaica Defence Force”; a Jamaica Independence Medal in 1962; an Institute of Jamaica Centenary Medal, in 1980, for “Contribution to Cultural Development in Jamaica in the field of Music”; The prestigious Silver Musgrave Medal from the Institute of Jamaica, in 1987, for “Contribution to the Arts”; a Jamaica Music Industry Award (JAMI), in 1998; and most recently a Jamaica Reggae Industry Association (JaRIA) Mentorship Honour Award in 2015, for ”Extraordinary Impact on the Music Industry”. Major Williams is a well published author with a number of publications including “Harmony & Arranging”, “Joe Williams’ Compositions – a Variety Collection” and “The Maestro Speaks of his Musical Journey”. 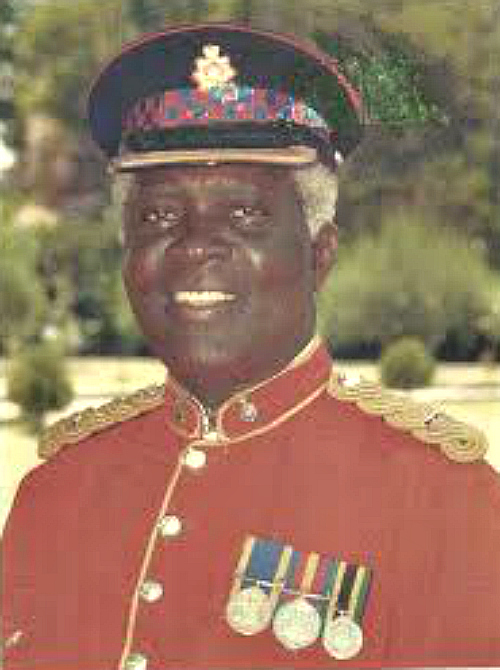 Major Williams made his contribution to the development of music in Jamaica not only as a player, writer and conductor but also as a lecturer and teacher at many institutions, including with the Excelsior High School Band and Kingston College Band in the 1960s, the Immaculate Conception High School Orchestra in 1994 and at the Edna Manley College of the Visual and Performing Arts - School of Music. 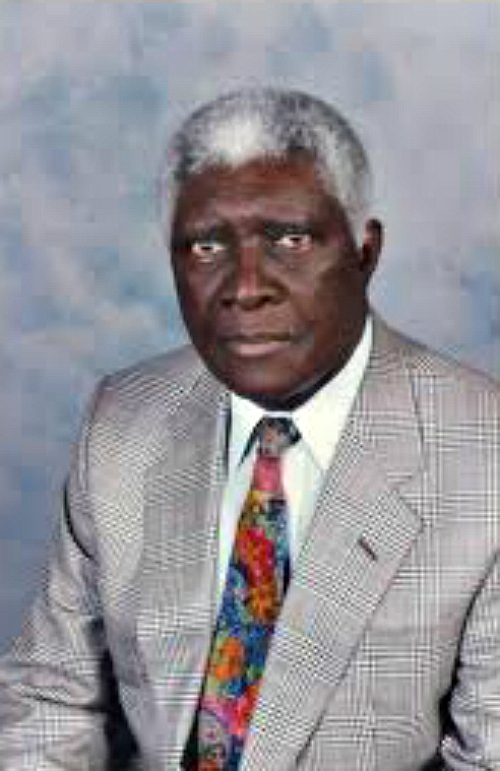 Major Williams’ contribution is not confined to music, as he found time to give service to the Jamaica Cultural Development Corporation (JCDC) as Chairman of the Festival Song Competition, from 1968, for 7 years, and also as Chairman of the National Music Committee. He is among the founders of the Jamaica Copyright Licensing Agency (JAMCOPY) where he served as Vice-Chairman for 10 years and still serves as a Director on the Board. He served the Jamaica Defence Force/Jamaica Military Band for over 40 years and retired in 1995. His last parade in uniform saw him presiding over the most prestigious Ceremonial Parade in the British Commonwealth, as the Director of Music - the “Trooping the Colour” parade - in the presence of Her Majesty Queen Elizabeth II at Up Park Camp, on 2nd March 1994 (his birthday). At this ceremony Joe had the distinction of conducting the Massed Bands and Drums of the JDF with over 100 players. Sports played a great part in his life, as he represented teams in Jamaica and at College in England, at cricket, table tennis, football and athletics. Now back into civilian life as a Consultant and Lecturer/Teacher, he is once again able to enjoy sporting activities, and spends more time with his wife Dahlia (Babs), their children and grand-children, while continuing to do what he does best – make music!